Drinks basically come in two forms – alcoholic and non-alcoholic. Alcoholic drinks when consumed beyond your body’s limit will make you drunk and intoxicated. However, when consumed moderately, it helps remove inhibitions and even helps with relaxing and bonding with friends. Non-alcoholic drinks on the other hand tend to be refreshing as they help beat away thirst or heat. When you order drinks at a restaurant, you have the option to order alcoholic or non-alcoholic. Of course, your manner of ordering drinks will depend mostly on the setting you are in. If the restaurant is a bar-type restaurant, it is normal to order alcoholic beverages and cocktails. When eating at a fine-dining restaurant, it is normal to be served with wine that is determined by the restaurant’s sommelier to match the food that you ordered. Sommelier undergo many years of training in order to fine tune their tongue to be able to provide you with a better match for your food. Basically, the wine that will be given to you will elevate the food’s taste as well as your dining experience, and not in any way mess up or counter the taste. Having a sommelier attend to you is also part of the dining experience in fine-dining restaurants. For fast food restaurants, it is uncommon to find alcoholic drinks being served. Mainly, it is soda, iced tea, and/or fruit juices that are being served. A beer will not exactly go well with French fries and cheeseburger. This is the very reason why restaurant often strictly chooses the drinks that their establishment offers. For this reason, if you find yourself looking for a particular drink in a restaurant, it is vital that you first establish the type of restaurant you are in so that you will have an idea of what type of drinks they have in their restaurant. Do not expect to be able to order beer when you are in a high-end fine-dining restaurant. 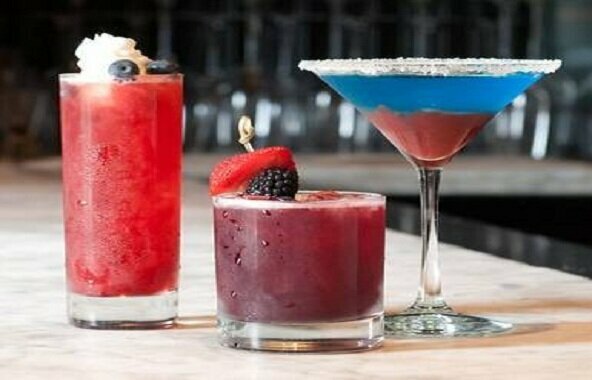 These days, you will find an abundance of drinks as well as restaurants that are available to you. If you go to bars that have bands playing inside, it is more common to find beer being served than any other beverages. While they will still have sodas, juice, and iced teas, the main beverage they serve will still and always be beer. If you want to order quality cocktails, it is best that you go to clubs with DJs that plays music instead of rocker bands.